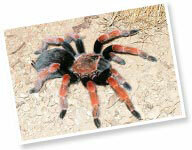 Rick West is one of the leading experts on tarantulas in the world. 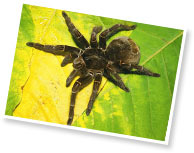 Rick is the author or many scientific and non-scientific publications on tarantulas and owns one of the most extensive, high quality, tarantula photoslide and digital archives on record. Please take a moment to browse my online collection of hundreds of high quality images avaliable for commercial purchase.